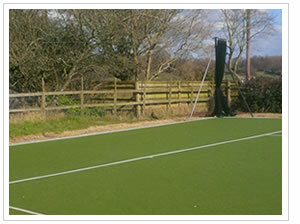 We supply new and replacement surround fencing for all sport surfaces. 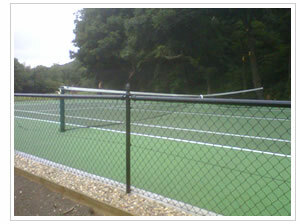 Most tennis courts use a simple angle iron fencing clad in a plastic coated chain-link. 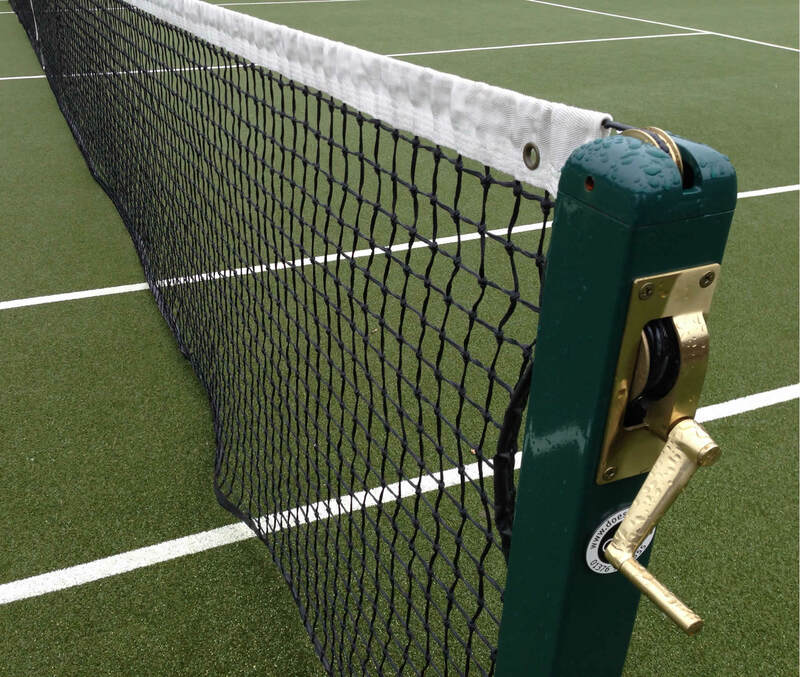 A more aesthetically pleasing style is the tubular surround fence; which can be supplied in either top rail or standard, depending on preference. 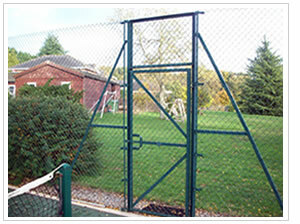 Most tennis court surround fencing has a height of 2.75m although there are occasions (near a neighbours boundary for instance) when 3.6m height is required. Also many clients choose to have a drop down section in one or both long sides; this opens up the court allowing easy viewing of games . The drop down section is also useful when the court is close to the home as it allows a viewing through the court without undue obstruction. 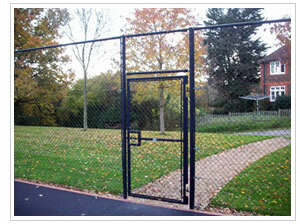 In some cases we can supply and fix new gates into existing surrounds, or simply make repairs to damaged fencing.